Modified bitumen membranes are typically produced from partially oxidized asphalt which are then modified with a polymer such as SBS (styrene-butadiene-styrene) or APP (atactic polypropylene). These modifications give the membrane self-healing abilities as well as other amazing qualities. 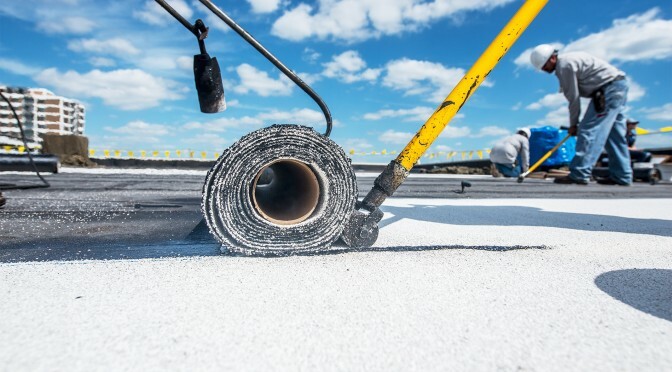 Lab tests and field experience show that torch applied modified bitumen applications offer better bond strength and durability when compared to hot mop applications, and equal or better bond strength compared to cold adhesive applications and other flat roofing systems. Heat welding is accomplished with an open flame torch or by using various types of electric or gas powered hot air welding devices specifically designed for modified bitumen applications. 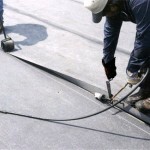 This method of fusing multiple sheets into one contiguous sheet membrane results in a superior flat roofing system with high resistance to expansion and membrane separation, greatly reducing the chances of blister formation (pockets filled with air or moisture). In Canada, torching of SBS Modfied Bitumen has been the norm for almost 30 years. Since then, open flame torching has been given a bad reputation due to the fire risks associated with process. Local building codes sometimes ban torching, and some companies invoke no-torching policies on their buildings. With a professional, fully licensed, bonded and insured flat roofing company, torch applications should be nothing to worry about. 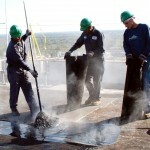 Torch applications prove to be the most cost-effective installation method for modified bitumen roofing membranes. Lab testing and field experience has shown that solvent based applications (cold adhesive) provide similar results to that of heat welded applications in long term performance. 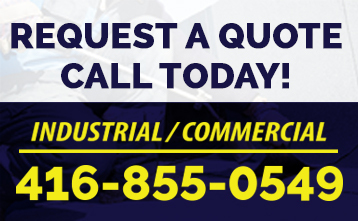 However, due to Canadian VOC Regulations, the cost can reach up to 3-5 times the price of torch application. Hot mop applications have the tendency to become brittle and steadily lose bond strength over time. Also, due to the high cost and changes in the supply origin of crude oil over the last few decades, the quality of mopping asphalt has changed as well.